Classic Microsoft is the king of desktop, we use their OS and we use their Office suite, and a ton of other stuff. They write all that code in-house, package it up and deploy it in various ways to our desktops. Google is the king of the cloud, we rarely touch their technology directly, we access it over the web via our browser. Google is the biggest consumer of open source software. They load it on their servers, perhaps with the odd tweak here and there, combine it with their own stuff and leave it there on their servers. They then charge us indirectly to use it. As Microsoft distributes its code, it is locked out of much GPL stuff. Google does not distribute its own IP, so can use this resource freely. I reckon this makes it hard for MS to close on Google in the on-line world. And its not just Google, I see financially viable (sometimes) on-line services that are based on open source sw cropping up all over. I guess many LAMP stack ISPs were the forefathers of this trend? Do you reckon this open/closed source difference is important? Years ago people used to claim Microsoft products were just cheap copies of other companies products. But what goes around comes around, Now Microsoft is the one receiving the compliments. It reminds me of when my little sister used to copy everything I did (but badly) when we were young kids. And I noticed the Sharepoint conference was sold out last week, its either on now or in a couple of weeks. I didn’t hear of the Office dev conf being sold out did you? Maybe I should just sell out and join the Sharepoint consultant herd. mooo! The 2008 Eusprig conference is coming up in July. There is a current call for papers, the deadline for which is the end of March. Full info here. If you are wondering about submitting a paper, but aren’t sure, feel free to email me for an informal chat. I’m nothing to do with paper selection, but I’ll happily discuss my experiences as a speaker. Personally I think a few more papers from people who earn their living working with spreadsheets, talking about real world quality would be very welcome. wtf is ‘Spreadsheet excellence’ anyway? I reckon its the skilled application of suitable quality spreadsheet based components to appropriate issues, and the effective management of their lifecycle. Great post here comparing .net devs to American tourists. The point that .net devs are so busy trying to keep up with the release rate of MS technologies is well made I think. Joel calls it ‘Fire and Motion’. I think we in Excel development have been spared this to an extent. Of course the surrounding technologies have been changing rapidly, but the core Excel stuff hasn’t ‘changed’. Some parts have expanded, some new stuff has been added, but nothing really ‘changed’. Until the ribbon of course. Many of us are still trading off our Excel 97 knowledge, how many new worksheet functions since then? dunno, none? a few? How many new features? a few, error checking, a few other bits and bobs. How many broken features? none, I’m pretty sure Excel 2003 copes with pretty much anything from 97, and maybe 95. That core consistency has enabled me to really improve my design skills, and skill up on complementary technologies that offer a massive bang per buck for clients. With Excel 2007 the .net hamster wheel rode roughshod over our calm consistent world. Was it a one off or the start of a new trend? Neither I would say, its Office moving into line with many other MS technologies. Whats going to be in Office 2010 (I reckon the OOXML stuff will put it back from the rumoured 2009)? Will it be the same UI as 2007? a face saving return to something a bit like menus, but different enough to have a new name? A new interface paradigm? I really don’t know (but I have my suspicions), what do you think? I see the EU have fined Microsoft a chunk of cash for not complying with their recent rulings. It sounds a lot in Euros and Dollars, but not so bad in sterling (700M), its 1/40 of what they offered to buy Yahoo (44B USD). And1/20 of its current cash hillock (19B USD) (downgraded from a cash mountain). It represents about a months worth of revenue from Office I think. 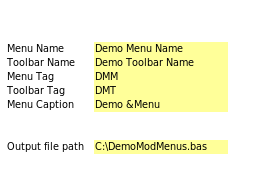 I hope they can still afford a couple of devs and testers to add some modern code editing/management features to the VBA editor in O14 (tabs, project explorer etc – useful stuff, no pointless new interface please). Or if they can’t afford that then maybe just open up a bit more of the VBAIDE object model and we’ll do it ourselves. I think the suit/geek thing is inspired from stuff I have read on Joel On Software, but it might be from elsewhere. Also I’m talking trends here, no shooting for 100% stereotyping so if you know an exception, great, but what’s the most common? Geeks is anyone who works with technology as a primary job role, so devs, sys admins, dbas etc. This leads to a few strategic issues, but from a power POV, who is likely to have the most sway, the finance underling (that the FD totally understands, has the same qualifications as etc etc) or the IS underling who talks about loads of stuff the FD doesn’t understand? I think this is one area where the suits have more power over the geeks, and I think the effect is the slow down of technology adoption until it is completely financially justified. I don’t see that as a bad thing. The big downside of this structure is that the geeks get hammered any time there are cuts because they struggle to articulate what they do. Or at least the FD understands the value they add least, so shafts them the most. I would love to claim those orgs without a CIO have an over reliance on spreadsheets, whereas those who recognise the strategic value of IT will manage their spreadsheet use more effectively. It wouldn’t surprise me in the least, but I have no proof. What do you think? Imagine in full Doolittle style you can speak to the animals. Imagine further that you speak fluent turkey. You visit some of the large turkey farms around the beginning of December and ask them to vote on what should be top of the Christmas menu. Will they vote for turkey? or will they vote for anything but turkey? Imagine you speak fluent IS department XAML jargon. You visit you IS department at the start of next years budgeting round and ask them to vote on whether they should empower their business users by providing access to the tools and frameworks that the IS department currently only use themselves. Will they vote themselves out of a job? The best will understand that empowering the users helps everybody and will not lead to job losses in IS, it may even lead to more rewarding work for people throughout the organisation. There won’t be many of these though. Most will vote to keep as much control as possible, so that would be no dev tools to users. They will continue quoting crazy money for internal projects. Thats not real money by the way, its cross charges, not real customers giving the company real money in return for providing them with something of value. More on that later. Every organisation will have significant use of spreadsheet based systems, those that have an excessive dependency on them have an IS department rooted firmly in the second camp above. Those that use spreadsheets in conjunction with other best for the job tools (eg Access, ADO, COM, .net, etc etc) have a more enlightened IS department – these are great places to work. I’ve worked in few of these great places anyone else? Rory Blyth lays the boot into Microsoft installer mentality here (bit long mind). Great post about his frustrations with Microsoft Live Writer installation pain (on Vista ;-)). (Rory did the classique Excel as a database cartoon years ago). 1. the plural of Lego is Lego, not ‘Legos’ (or legii, or legae, or legon!) – what nonsense is that? 2. ‘brainstorming’ the UK Government Political Correctness advice is that this devastating insult should be replaced by ‘thought shower’ or ‘idea storm’. They haven’t actually found a group who find it insulting, but that minor point isn’t going to stop them. Anyway back to the spreadsheet angle. He talks about installation pain, and ease of deployment is one of the joys of Excel/VBA. He talks about pointless change, thats one of my biggest complaints in Excel 2007. He talks of the internal wranglings at MS, I can’t help feeling that was a factor in the whole effluent UI. He talks about some of the great people at MS being held back by some of the not-so-great, I’ve seen that in a few places I’ve worked so I can believe it. (In my mind the relevant MS version goes something like – those smart folks in the Excel team got snookered by the UX donkeys). Call it what you like, VBA gives the power to the people, without having to beg to the power crazed people in the IS department for permission to do your job. I missed this one off the other list, Marcus reminded me in a comment. I think this point is getting more and more important, as the IS department, full of SOX fuelled bravado, is moving in for the kill. They are desperate to boss the business, and are most likely seeking retribution for decades of brutal staff cuts. I have another post in the pipeline about this battle, but for now I thinks fair to say, Excel/VBA is one of the key tools in the battle. I would say Access, Excel and VBA are some of the key targets of the job prevention department. In a way I think we are lucky that Office itself is so dependant on VBA that Microsoft do not recommend fully disabling it via policy. If that barrier were to be lifted, perhaps by implementing sumif.xla etc as VSTO add-ins? then things might change. You may have noticed that most of what I reckon is great about VBA has nothing to do with language structure. It’s more to do with external factors, many of which are outside the current direct control of MS. Here is my (free) menu builder. Its for classic Excel only, but maybe one of you ribbon fanbois would modify it to work with 2007 too? Ribbon XML is so easy right? I haven’t made much effort to tidy it up for release, its just as I use it (ie tested and working on my machine, last time I needed it, nothing more). There are plenty of other menu builders around, but often they are worksheet driven. Thats great for .xls and .xla stuff, but as I do a lot of COM stuff its not ideal. My one uses a worksheet initially, but actually outputs a .bas module. That can then be imported to an excel based project or a VB6 one. Watch out though as the code appends, so if you run it a few times with the same output file you end up with tons of repeated code. I am sure there was a reason why its like that, I can’t remember it though. And here is the table where you fill in the menu text, tooltips etc. It only does basic buttons, you can just go in and adjust the VBA if you need any fancy stuff. It does a matching toolbar and menu. Just delete the code for the bits you dont want. The workbook also has an embedded toolbar with the first 1,000 toolbar buttons on it, with their IDs. When you shut the workbook that stays around. You can hide it or delete it from Tools>>Customise>>Toolbars. I have never found these embedded toolbars very manageable, so I always create and destroy my menus on open and close. Doing that with 1,000 buttons is painfuly slow though. The code is open and unprotected, but all the work is done concatenating strings in the worksheets (the hidden one called workings). It also has basic instructions.